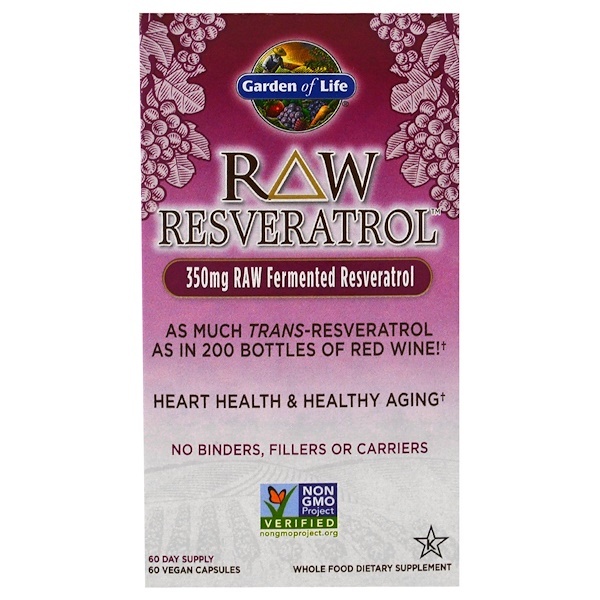 As Much Trans-Resveratrol as in 200 Bottles of Red Wine! What RAW Means - No high, heat, synthetic binders, fillers, artificial flavors, sweeteners, colors or additives commonly used in tablets. Non GMO Project Verified - Independent, third party verification. Whole Food - Blended in a base of organically grown fruits and vegetables together with food cofactors. 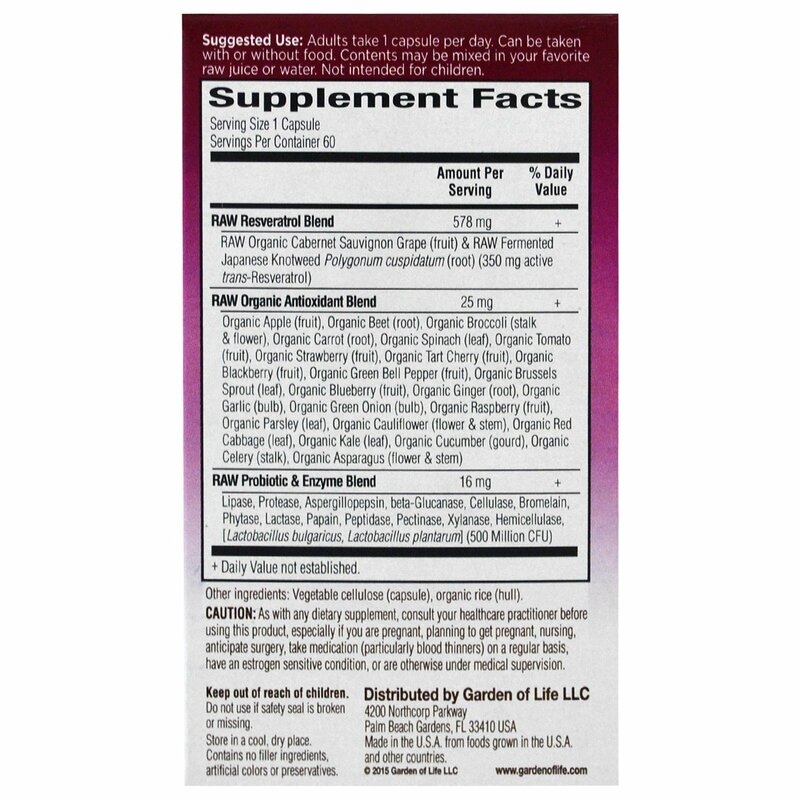 RAW Resveratrol combines RAW fermented resveratrol, 24 powdered organically grown fruits and vegetables, including Cabernet Sauvignon Grapes, plus live probiotics and digestive enzymes. 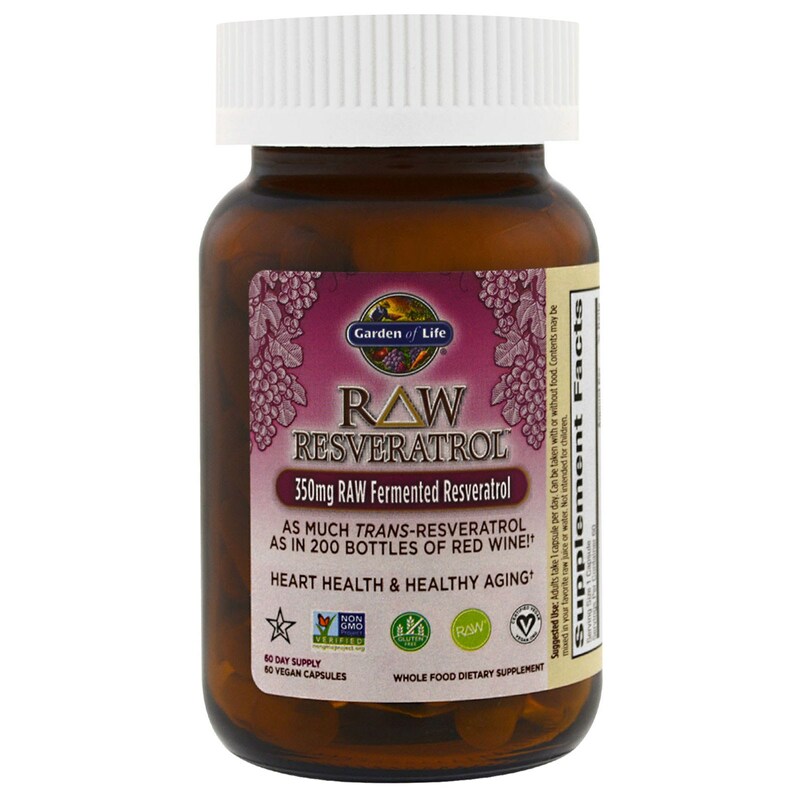 RAW Resveratrol is a highly potent source of polyphenols, providing 350 mg of trans-Resveratrol per serving, supporting the circulatory, respiratory, reproductive and digestive systems. RAW Resveratrol provides benefits of red wine, in a convenient, reliable and affordable form, without the alcohol or associated side effects. Adults take 1 capsule per day. Can be taken with or without food. Contents may be mixed in your favorite raw juice or water. Not intended for children. As with any dietary supplement, consult your healthcare practitioner before using this product, especially if you are pregnant, planning to get pregnant, nursing, anticipate surgery, take medication (particularly blood thinners) on a regular basis, have an estrogen sensitive condition, or are otherwise under medical supervision.